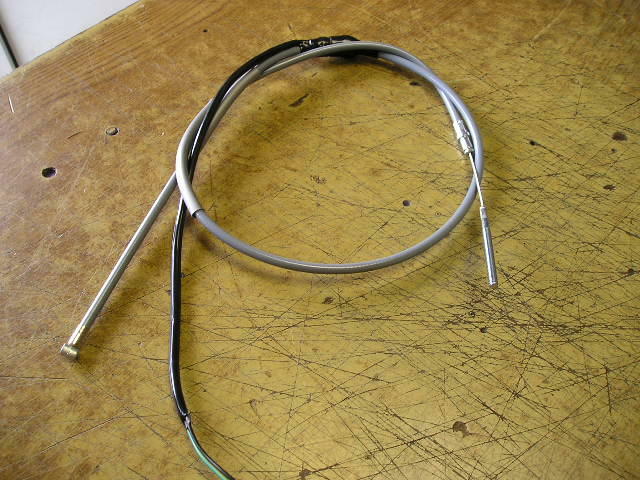 This is replica front brake cable for the early H1-500 models. Finished in grey with a built in brake light switch. For the high bar model really but can be re-routed to fit the low bar version as well. I guess it will also fit the S1/S2 models as well and the A-series?